Persona 3 is one of the best JRPGs ever developed. The story was moving, the gameplay made turn-based combat relevant again, the music was a catchy fusion of jazz and vocals, and the social interactions, epitomized in the community links, exemplified its fresh take on the genre. That sense of community is what I feel to be the most important aspect of making Persona 3 verge on JRPG perfection, and I’ll be delving into what makes them so great. Friendships are hard. They take time to develop and it’s no different in Persona 3. You have to commit to a friendship and approach each relationship in its own unique way. Be too frank in answering certain questions, and the friendship stalls. Say the right thing, and a potential date starts developing feelings for you. I loved social links because it flushed out the world and made the NPCs more than just vessels for conveying game information (go here, or, this villain is blah, or, tutorial in the form of, etc. etc.). These characters had a life of their own. Some of their arcs were tragic, others, hilariously poignant. Social links were an exploration, a journey of human nature, and the whimsies of friendship that often had me looking back on my own relationships. The great thing was how the social links connected back to the gameplay. Each friend represents a separate arcana of the Persona. The stronger the bond between you two, the stronger any Persona in that specific arcana will be, receiving additional experience points and benefits because of it. You meet all sorts of people, from the Gourmet King, Nozomi Suemitsu, who loves food but is insecure about his appearances, to young Maiko Oohashi, whose parents are having issues and end up getting a divorce. There is an old couple who opens a bookstore and their past is mired in regret, involving a persimmon tree at Gekkoukan High School. Mamoru Hayase of the Star Arcana is a phenomenal athlete from a rival school. He’s from a poor family and his father recently passed away. His arc ends when he realizes he has to quit school so he can go work and support his family members. He’s upbeat and optimistic about it, but that only makes the sense of loss more acute. One of the saddest friendships is with Akinari Kamiki, who is dying of a fatal genetic disease and chats philosophy with you once a week. He’s writing a story about an alligator and a bird, though he’s having trouble finding a happy ending. The allegorical penmanship of his suffering vacillates between hope and desperation. I could feel tears creeping up on me in the final act, the number nineteen having a depressing finality to it. Pat resolutions are lacking and there is no magic spell to cure his condition. On the opposite end is Mr. Tanaka, a ruthless businessman who tries to teach you the ways of his Devil arcana. He gives the most cynical insights into humanity, like when he mentions that he loved attending his high school reunion because it gave him a chance to look down on everyone else. He also mocks people for buying placebos he’s marketed as diet pills. Even his final twist towards charity seems hard to accept, and I could easily see him corrupting it into a marketing scheme. Kenji Tomochika, the Magician Arcana, is the most annoying of the social links. He falls in love with his teacher and constantly asks for advice on how he should approach her. Unfortunately, the teacher gets engaged and plans to leave school, crushing his heart. This guy got peeved at me so many times because I ignored him (let’s hang out— no thanks; are you busy afterschool? yes, I want to spend time with someone I care about), it resulted in a link reverse which meant if I used any Persona within his Arcana, I’d get an adverse effect. I finally had to makeup with him and he liked me again. But when I ignored him a couple more times, he got upset again! Kazushi Miyamoto, the Chariot arcana, is a fellow athlete on the swimming team (kendo or track if you choose a different sport). He’s dedicated to winning and aspires to be the best, in part because of a promise to a young nephew. Unfortunately, he hurts himself and tries to hide his pain. But he pushes himself too hard, gets seriously injured, and resigns from the team to get surgery. What made this so touching was I could feel his desire and pain, having been hurt myself in sports. I really thought he was going to recover, come back, and win it all. I was rooting for him to do so. But at the end, he’s forced to come to terms with his injury and take the year off. When I tore a muscle in my knee during a basketball competition, I was forced to stay off the court for a year. Since coming back, my mobility is nowhere near what it used to be. And even though the games are just for fun, it’s been tough getting adjusted to my limitations as muscle pains still mar my movement on the court. It’s silly, I know, and more stupid pride than anything else, but there are times I get disappointed in myself for missing easy shots or messing up a play. Miyamoto has no miraculous comeback to the swimming team, and instead, has to come to terms with mortality. It’s a lesson I still need to embrace. You can develop romantic relationships with several of the characters including Yukari, Fuuka, Chihiro, and Mitsuru. If the dating gets serious and you try to romance someone else, they’ll get jealous and their anger will understandably evolve into rage (unlike Persona 4 where you can date others at the same time without any noticeable impact). For my playthrough, I dated Mitsuru, the leader of SEES, student body president, and daughter of the chairman of the Kijiro group. She’s tough and brilliant, a natural leader that can be charming and demanding at the same time. She will only form a romantic link with you if you have the highest level in academics. Developing a relationship with her reveals that she’s actually in an arranged marriage, and though she doesn’t like her partner, she’s going through with it for the sake of her family business, punctuated by her sense of responsibility after her father was killed. Archaic as the situation seems, especially from someone who we’ve seen as being so strong, her character eventually defies the engagement and pursues her own dreams. I really enjoyed getting closer to her. While it’s obviously simplistic with an anime innocence to it, I felt a bond to her, more so than almost any other gaming character I’ve had a “romance” with. Part of it is because you spend so much time fighting together with your companions, and as Mitsuru was part of my main team, it felt like a natural extension of the companionship I had with her on the battlefield (a hundred hours of grinding contributed to it too). You choose who you spend time with, and picking one friend over another means you might miss out on a relationship you never even knew about. Still, I couldn’t wait to spend time with Mitsuru, whether walking quietly back from school, or just studying together in each other’s company. I played the entirety of Persona 3 with my wife, and we both were happy to see the main character end up together with her. I was impressed by the number of different outfits the characters wore. They change their costumes depending on the season, holiday, and even for chilling on the weekend. I don’t think I’ve ever seen that in another JRPG before (let me know in the comments of other instances if there are). Sure, they might get a model swap in other JRPGs if they get more powerful, or as in the case of more open-world RPGs, costumes can be customizable. But in this case, they wore what was appropriate to their setting and the costumes looked great. The art team really did a great jump pumping out lots of assets, and the game exudes a level of polish and realism that makes the characters seem all the more alive. School wouldn’t be complete without the chance to upgrade academics, courage, and charm. You can raise academics by studying at the library, at night, or on a holiday. Courage can be raised by singing karaoke at the Paulownia Mall (like in real life, the karaoke places get crammed on Fridays and Saturdays and thus are inaccessible). The main character’s health condition even improves by using the bathroom. One of my favorite parts is the week-long examination. I spent two years in Korea as a kid, and I still remember how intense and competitive those elementary school tests were (I struggled with them, barely being able to speak and write Korean). The test in the game draw questions from class sessions you’ve had earlier and the music in those sequences is one of the catchiest. Fortunately, unlike my Asian school experience, I raised up my main character’s academics to full. As a result, I was able to get one of the top marks, impressing Mitsuru in the process. Despite the impending doom of the world, good grades are still important. The ending sequence where you learn the world will be annihilated would have little meaning if you didn’t care so much about the people in it. The music becomes a somber jazz, there’s a sense of hopelessness and destitution that marks the dialogue of the characters, and even the shopping centers are marred by graffiti and trash. The atmosphere oozes despondency. Remember the destruction of the world in Final Fantasy 6? Or Meteor looming ominously in FF7? How about the feeling of despair caused by Lavos throughout time in Chrono Trigger? In a theoretical sense, I knew it was bad, but I didn’t care that much about the specific individuals in those worlds (do you remember all the NPCs in those games?). In Persona 3, I cared about many of them, even the main antagonist, raising the stakes in a way the others didn’t. Nyx, through Death, was going to ravage the entire planet. And the worst part was that I didn’t want to kill Death because he was a friend with whom I had a social link! Without giving away too much, I’ll say the ending was sublime, eloquent, poetic. Great stories transcend culture, transcend their medium, transcend even the time they were written in. In that sense, I consider Persona 3 (and its sequel) works of art that elevated JRPGs— and videogame storytelling— onto a whole new level. Persona 3 takes place over a year and every day is split out into different time periods. As the characters age, get closer, or feud, you feel like you’re there at school with them, undergoing the journey they are, watching the seasons change. There’s so many great characters, and some of my favorite moments included asides that had nothing to do with the main plot, like when Junpei plays a game with a flashlight of ‘Believe It or Don’t,’ and the time he leads an excursion called ‘Operation Babe Hunt’ that goes awry (many of the more mischievous moments are spurred on by Junpei). The designers and artists at Atlus did an incredible job capturing the high school years many of us wish we had. 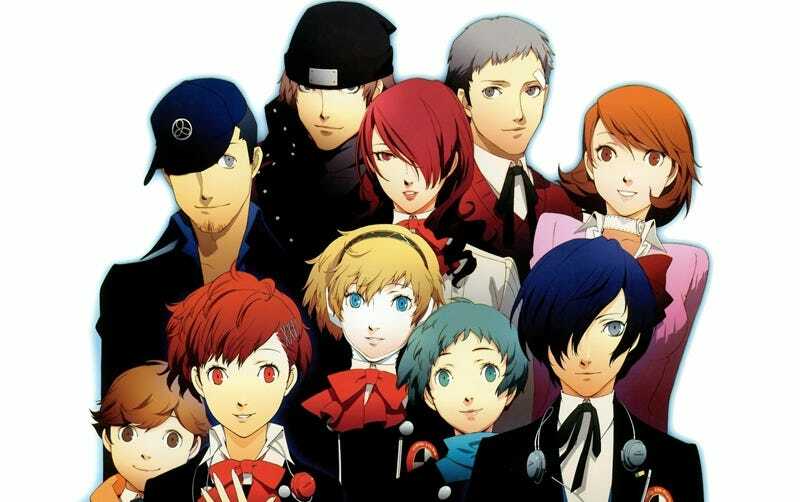 By writing this piece, I wanted to extend a social link to everyone who’s interested in Persona 3 and JRPGs in general. Let’s go up a few levels together, shall we? Peter Tieryas is the author of United States of Japan and has written for places like Kotaku, TAY, and Tor. This article is a heavily updated version of a piece that was first in the defunct blog, Default Prime. You can find him social linking on twitter at @TieryasXu and other places.